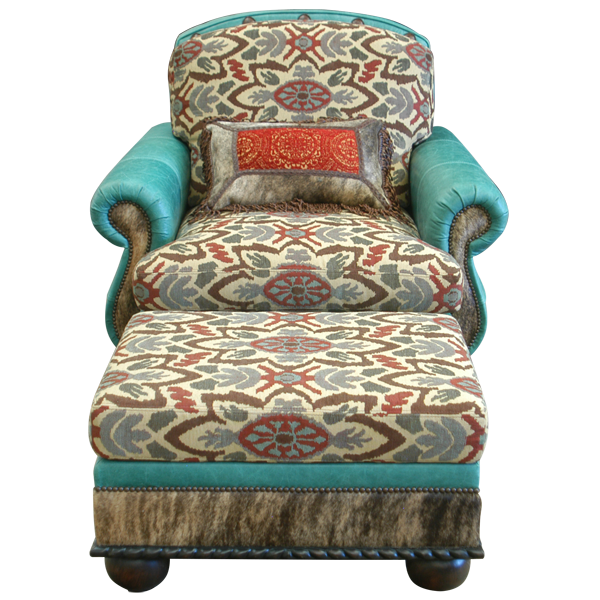 If you enjoy Western style furniture, then enhance your home décor with this Santa Fe style, handcrafted armchair. 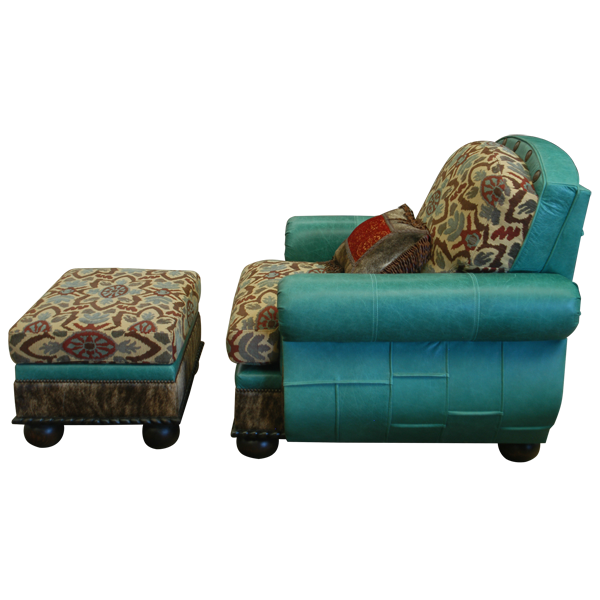 The armrest, part of the lower front of the chair, the exterior sides, and the reverse seat back of this custom chair are upholstered in spectacular, turquoise colored, full grain leather. The front of the armrest and part of the lower front of the chair are upholstered in real cowhide. 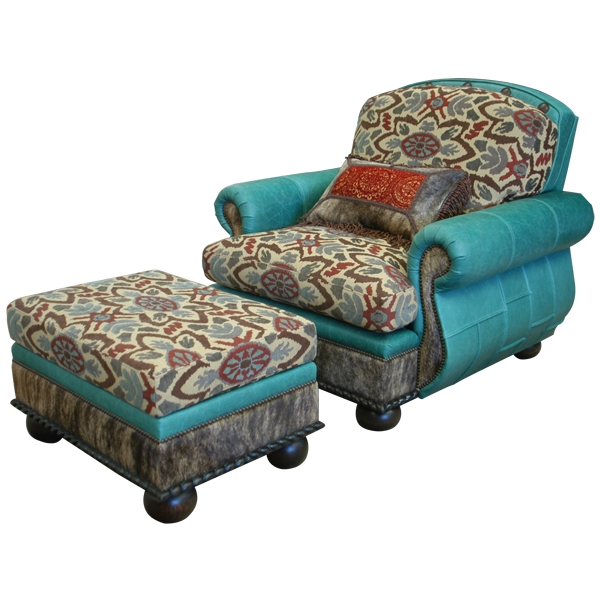 The seat and the inside seat back are upholstered in patterned, fine fabric. The upholstery is double stitched for extra strength and durability. Additionally, the upholstery is hand tacked with precision to the entire wood frame by our skilled craftsmen. 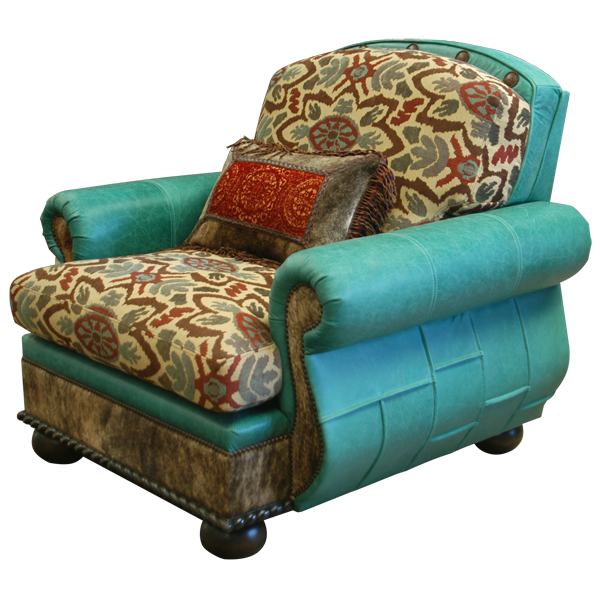 All sides of the lower base of the chair are adorned with hand carved, scalloped designs, and the top of the inside seat back is adorned with hand forged iron conchos. The chair is supported by four, wood turned, bun style feet. Both comfortable and durable, this chair is made with the best, sustainable wood available. The chair in the photograph is accompanied with a matching ottoman. It is 100% customizable.